You know that saying, about how it’s better to be right than popular? Senator Ron Wyden does. Wyden’s idea, which he calls the “Free Choice” proposal, is to let anybody buy insurance through the exchanges--and, crucially, to let these people take their employer contributions with them. In other words, if you worked for the All American Widget Company, you could choose from among the plans the Widget Company’s benefit department had selected--or you could decide to buy your own policy through the exchange. And if you opted for the exchange offerings, you could use the money the Widget Company would have given you to pay the cost of its plan. Like the Healthy Americans Act, the Free Choice proposal is a solid idea on the merits, one that has won Wyden praise from experts and writers (including me). And, like the Healthy Americans Act, the Free Choice proposal has run into a buzz-saw of special interest opposition. Employers don’t like it, benefits managers don’t like it, unions don’t like it--in each case, because it means these groups have less control over, or stand to derive less loyalty from, workers over health care decision-making. The groups are being incredibly short-sighted. Big business thinks that giving employees this choice would be a calamity. To which one can only ask: Have these business lobbies lost their minds? When the post-mortems on the health-care reform debate are written, the biggest mystery will be why big business fought so hard to stay in the health-care business even as soaring health costs surpassed corporate profits and diverted executive time better devoted to actually running companies. Labor is acting with no more foresight. As the autoworkers have recently discovered, employer-sponsored insurance is no longer the source of worker security it once was. Wyden has been trying to negotiate some sort of compromise that could pass muster with both groups and the many congressional members they influence. But he’s not gotten very far, in part because he is fighting the battle more or less on his own. Admirers say he is a tenacious promoter of good ideas. 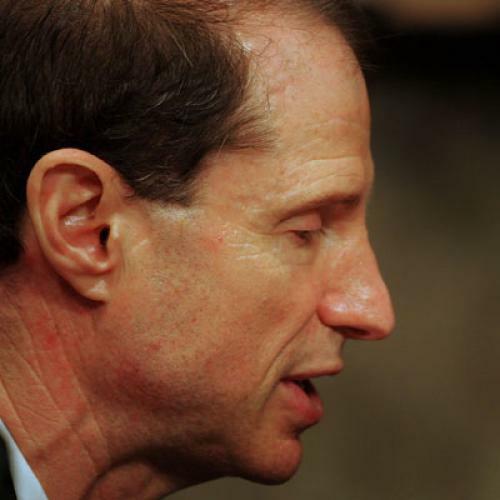 Critics say he is a tenacious promoter of Ron Wyden’s ideas. Whatever the reality--and I tend toward the former judgment, as readers know--it’s left him without a lot of political friends. Not that personality is the decisive factor here. The White House and Democratic leadership want to keep the process moving. If this is a fight they can’t win, they don’t want to start it--which may well be the right strategic call. There is the Congress we wish we had and then there is the Congress we actually have. And in that Congress, a good idea like the Free Choice Amendment can be an awfully tough sell. That much was clear was late last night, around midnight, when Wyden tried to put forward his amendment for a vote. Chairman Max Baucus ruled it out of order, ostensibly because of a dispute over the measure's cost estimate--but, more likely, because neither he nor most the committee wanted the measure in there. Baucus said something about how if labor and business think the idea has problems, then it must have problems. Not true. But labor and business together have the clout to make their views prevail.